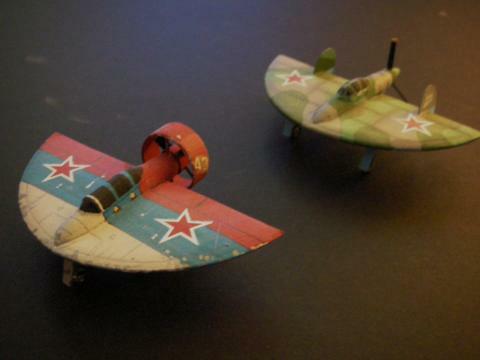 Mikoyan 4, which is shown in wartime colors here and a modern version built as a sports plane by the same firm in 1998, using composite parts and Rotax engines. 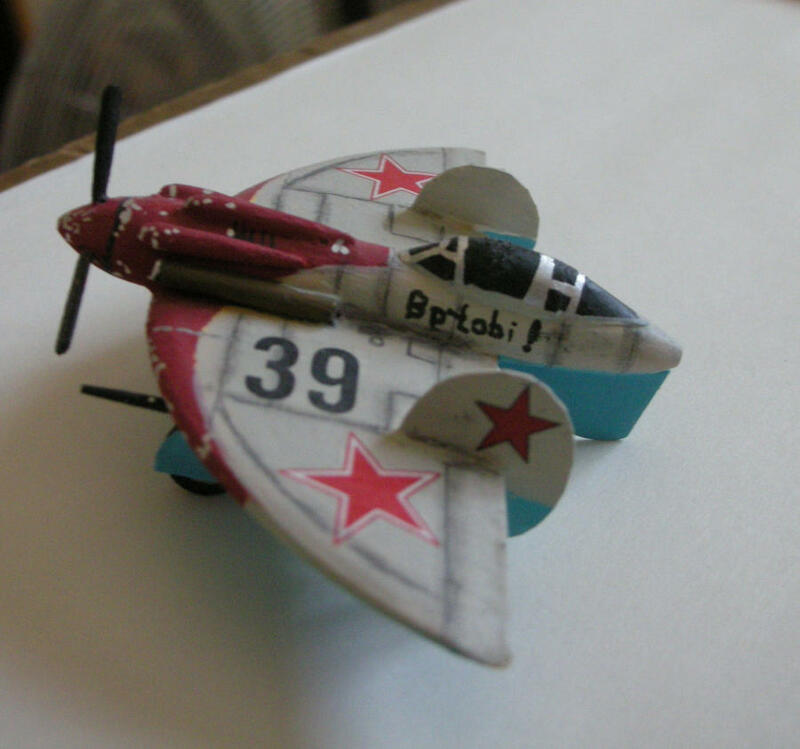 And the ChMik 3 (Cheranovski/Mikoyan) which used the AM-42 engine. This is shown in the winter scheme and marking of a Guards regiment during the battle for Moscow. And for a bit of fun with Photoshop, I take #39 and put it in flight. Wanted for background a Black Sea locale and found a pretty close match on Wikimedia in the Israeli city of Eilat - acknowledgement to local aerial photographer Avi Dharor here. 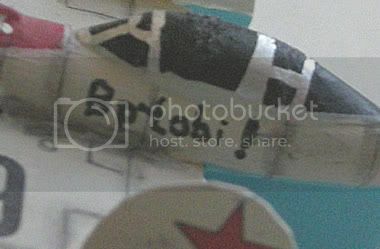 Painted in a cockpit for the blanked one I sometimes use in paper/wood kits if I don't have a transparency available. Needed a pilot and drafted myself, but in this scene am thinking of defecting and setting course for Greece or Turkey if we get into a big enough cloud bank. Ship 39 is unarmed as it is a photo rec version. You are putting us to shame mate both in terms of quality and build rate (certainly me anyway). Great models. 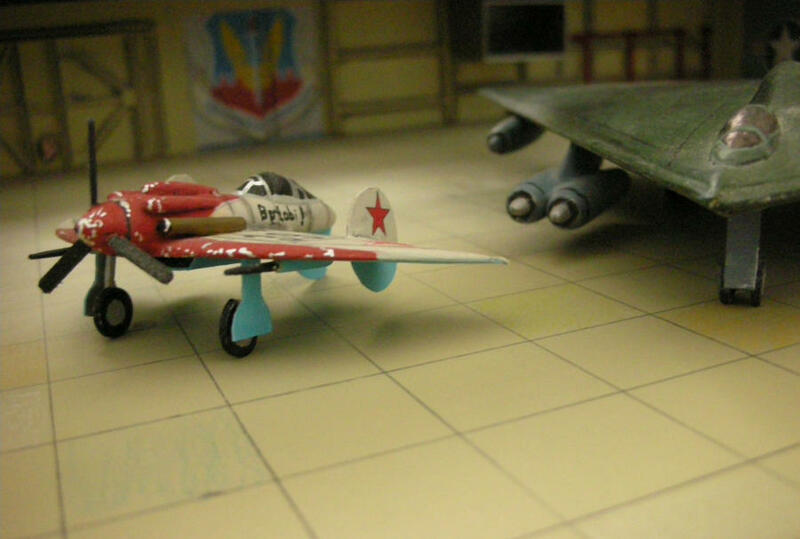 Those are astonishing Russ and if they're 1/144 like your others they must be TINY! Build rate explained - I'm bringing ten years worth. When I was more active, was putting together 2 per month. Stunning ideas and builds, RussC! I think maybe a new phrase in po-Russki would be "check 3,9" (smotree, tree, dyeviet? ), as the pilot's side-vision seems to be blocked by the stabilizers! It ain't "po-Russki"--someone's name, perhaps? Re: Hyperbole for Your Parabolics! More of a "nickname" and I should have written it down with the translation when I had the chance. Very nice concept, a great idea. 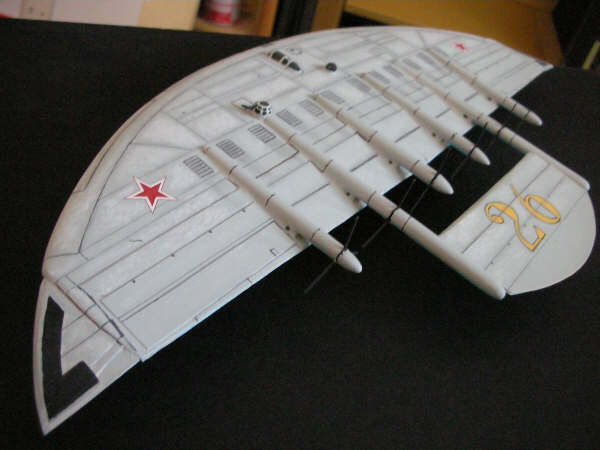 The ANT 91 was a strategic bomber for a desire of Stalin to emulate the successes of the USAAF and the RAF over Germany, as was written in the history. 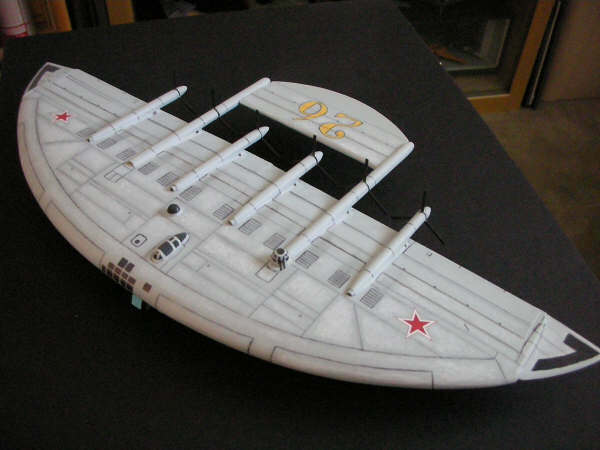 The reality was that it was designed, built and flown without his knowledge by orders of Levrentiy Beria and the real government there. 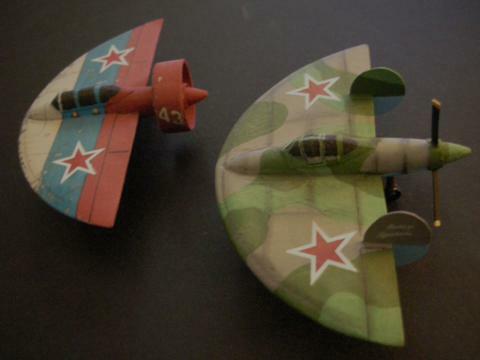 Later versions of the "91" dispensed with the 1930's idea for some flying wings of the "beaver tail" to save weight and flew just as well without it. 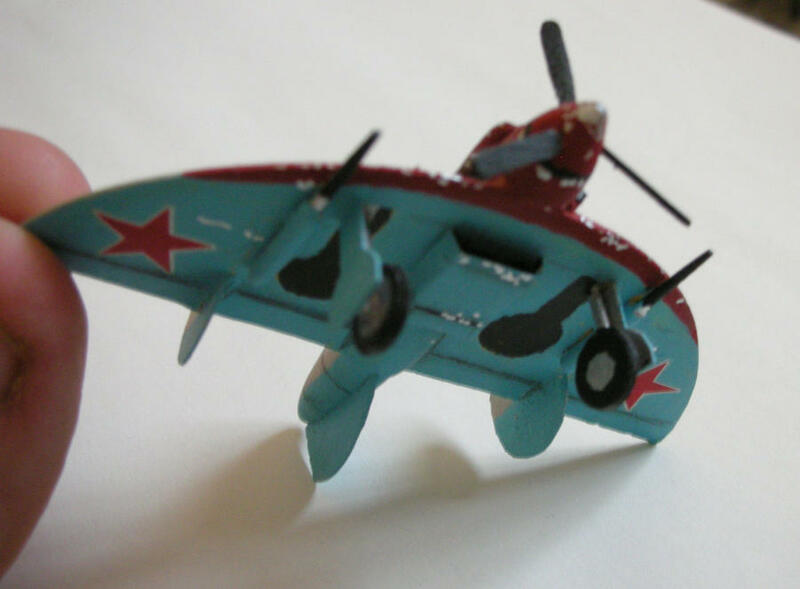 Balsa model with some paper parts. Beauties! Lovely fleet, I love some of the early Cheranovski projects & these certainly do them justice, great work!